Another post as part of Manda at Break The Sky’s link up! So I missed the actual day again but thought I’d do it for last Thursday instead. Which is good really as I at least have something planned for last Thursday! Little Miss started stirring and when I went past her cot she woke up and smiled at me. A lot can be forgiven when she smiles! She doesnt want food usually so I just brought her into our bed for a nap – thinking we would sleep until around 7am when hubby gets up for work. Hubby came up to tell me he was leaving for work – so much for getting up when he does!! Apparently he got up at 6.30am and I didn’t even notice! When he woke me up he said that Little Miss clearly takes after me because she has taken over the bed! She was still snoozing away next to me until hubby gave me a hug and then she woke. He picked her up for a hug so there was no way she was going back to sleep! So we slowly got up – no rush for anything! By now I’d washed and changed Little Miss. It’s been hot for the past few days so I thought I’d put her in her little pink dungarees. She’s so cute in it! I then took her through to the nursery to get her bottle ready. She sits in her old Moses basket whilst I prepare the bottle. 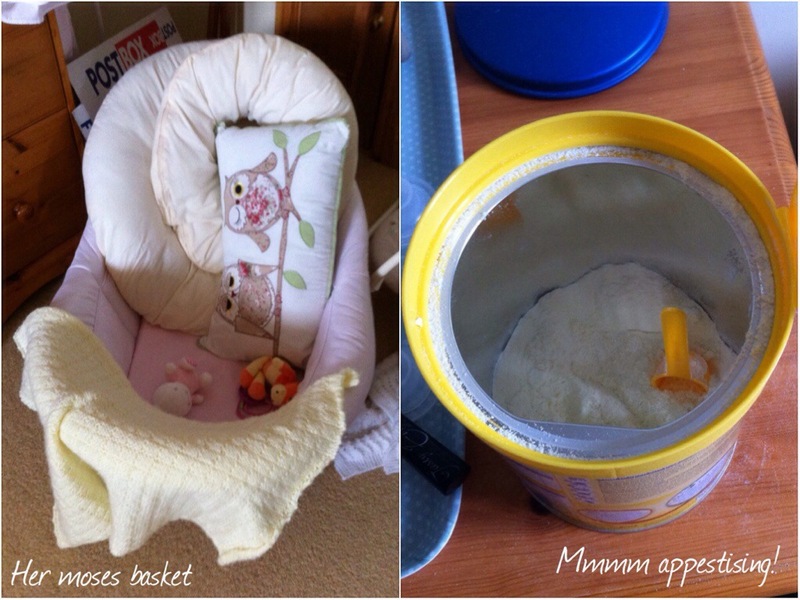 As I get the formula ready I count the number of scoops with her – she can’t count yet but listens intently whilst I do. And she likes the number 5 because in Welsh it’s “pump” (pronounced as “pimp”) which she loves the sound of! She likes the “puh” sound I think! I gave Little Miss another bottle and then started getting the car ready to take pups for their salon appointment! Hubby had booked them in to be bathed and brushed because they’re moulting and dog hair is everywhere! After dropping the dogs off at the salon I headed back to the mainland and went to look for some summer clothes for Little Miss. 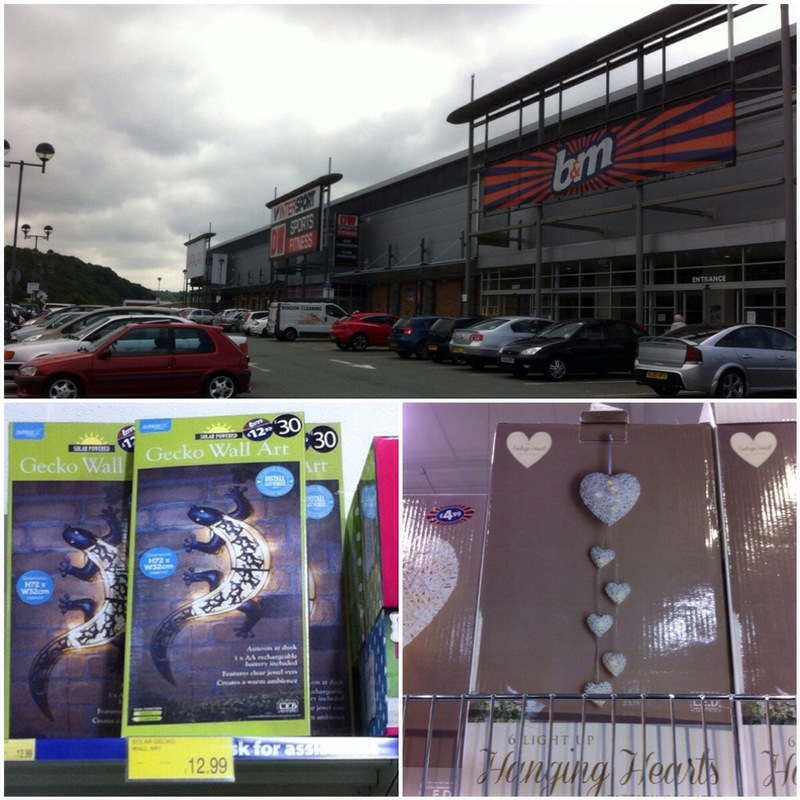 I went to B&M Bargains to have a nosey and saw there’s some nice homey stuff there. I really love the idea of this light up Gecko! 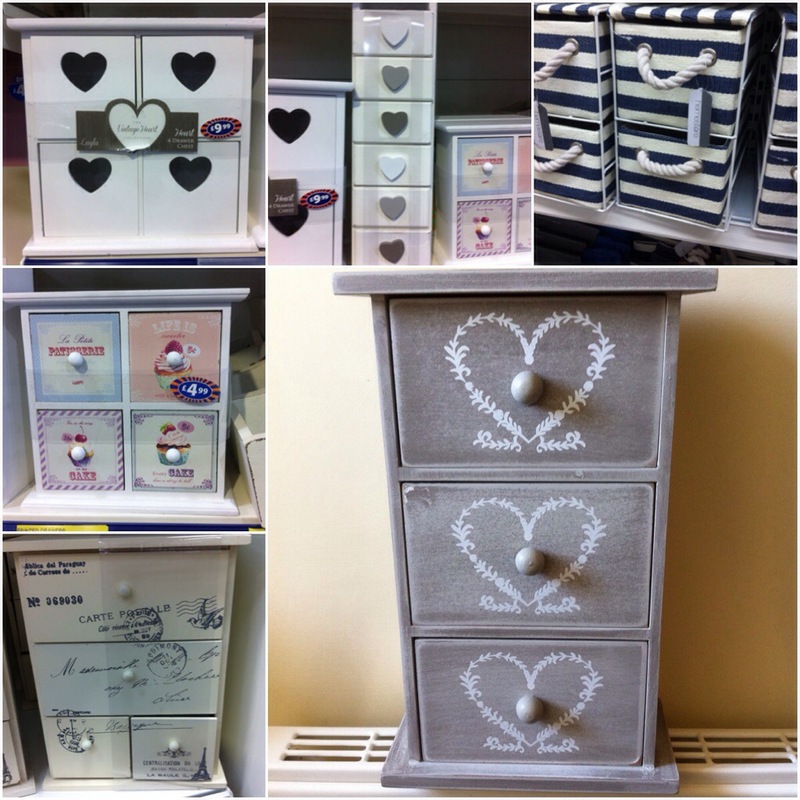 I also had a look around B&M Bargains for a decorative chest of drawers type box. Found a few nice ones but didn’t buy any as I wanted hubby’s opinion first. In the end I didn’t buy any as I remembered that my friend gave me this box for my birthday. It’s supposed to be used as a jewellery box but I don’t have much so thought I’d recommission this instead! I didn’t stay shopping too long because Little Miss woke up. As I had to go back over to the island to pick up the dogs for 5.30pm I phoned the mother in law to see if she wanted visitors. So Little Miss and I went over to her house for a panad and some cake. Little Miss had a bottle and played for while on her playmat. Her favourite toy to play with was an empty tissue box! The doggy place still hadn’t phoned so I decided to go down to see how the dogs were doing. Nain and Taid came down with us so they stayed with Little Miss whilst I went in to get the dogs. I walked in to the salon and the two women were still trying to clip Gemma’s nails. She was having non of it! I went to help – tried to calm her down but nope didn’t work. 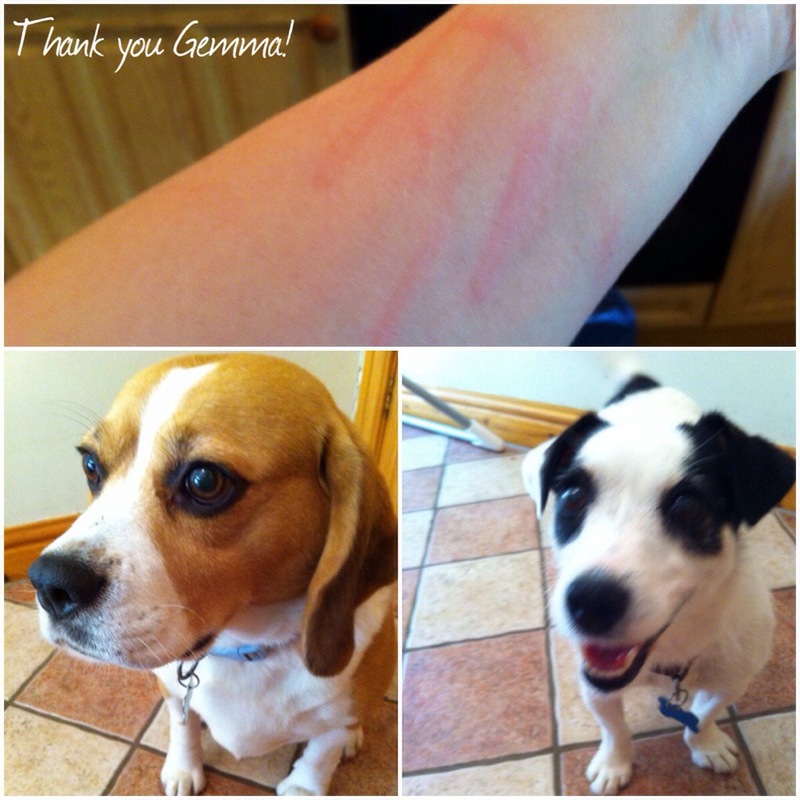 I was covered in scratches! But it was worth it for the clean pups! The only trouble is that the dog hair is going to be worse for a couple of days but hey they smell a lot better! By the time I got home it was 6.30pm and hubby was already home. As I got home my next door neighbour was out. We started talking and he mentioned that he’d finished installing their new kitchen and was going to spend a couple of hours on their boat. As I was late home we decided to get a Chinese takeaway. There was no way I was going to go back over to the island so we decided to get a delivery from a more local one. Must admit it wasn’t very nice so next time it’s back over the bridge we go! Hubby settled Little Miss to bed and she had a bit of a cry. I honestly don’t remember what I did until around 10pm but I know it consisted of some tidying up, talking to Mam and watching a bit of tv. Mam mentioned that she was looking for kitchens on eBay which is when I had my lightbulb moment! I wonder what happened to next door’s old kitchen? After debating if it was too late to go knocking at 10pm I went over to ask. I was invited in to see their new kitchen – a nice glossy cream one. It turns out that they’ve installed their old one in their garage and utility room. We started talking and before I knew it it was 11.30pm! I went home and everyone was in bed! So I went to bed as quietly as I could so I could get up for work the next day! So that was my A Day In The Life Of… post for June! Heck out Manda’s site for more great posts!